Barr. Biyi Otegbeye, the Group MD and CEO of Regency Alliance Insurance Plc as well as the Board Chairman, University of Uyo Teaching Hospital bares his mind on the development and empowerment needs of his people Yewa-Awori. 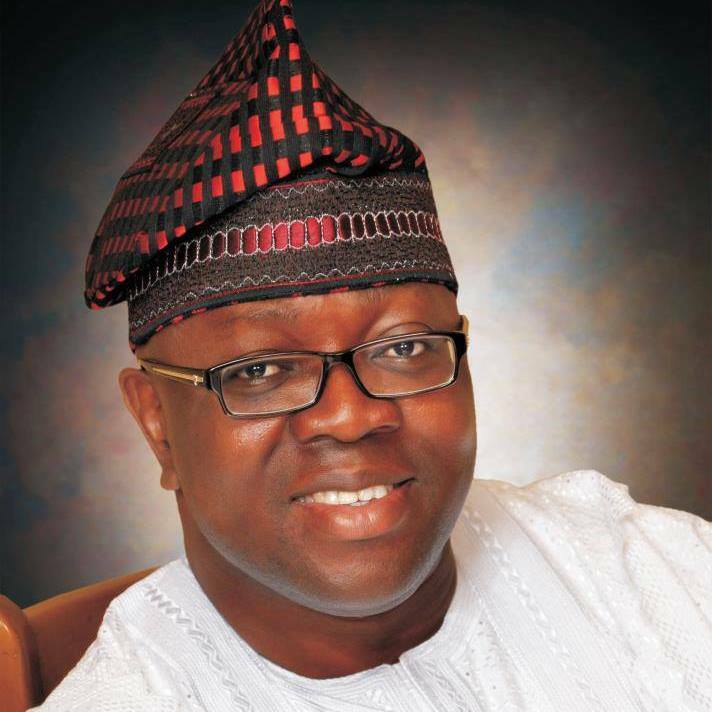 He is a proud son of Ilaro, Yewa South Local Governmenta Area of Ogun state and aspires for the Ogun West Senatorial seat under the ruling Peoples Democratic Party, PDP. President Jacob Zuma will on Thursday, 18 July 2013, mark the Nelson Mandela Day by officially handing over houses to the community of Danville, Pretoria West. Cabinet designated the theme of Mandela Day 2013 as “Take action; inspire change; make every day a Mandela Day” with a focus on food security, shelter and literacy. The Danville/Elandspoort project was identified as a “Flagship Project” for the eradication of the Bethlehem (Hermanstad) Informal Settlement in Pretoria West, which was occupied by poor White Families; families residing in Road Reserves in the Atteridgeville area and other identified areas in the Pretoria Central and Pretoria West areas. President Zuma first visited the informal settlement in the Hermanstad area, also referred to as Bethlehem, on the 24th of July 2008 and again on the 30th of March 2010 to witness at first hand the difficulties experienced by the poor white households and to assist in finding solutions to their plight within the framework of existing government assets to policies and programmes. The land that they occupied in Hermanstad where the informal settlement is located is privately-owned. Some of the concerns the group of white families raised with the President included the availability of social grants to children, the aged and the disabled, the need for land to build houses for the homeless, access to basic health care, public transport and the provision of electricity. The above concerns, following the two visits by the President, were forwarded to relevant government departments (Gauteng Dept of Human Settlements) as well as the City of Tshwane Municipality for further attention and resolution. Action taken by the Municipality includes the rectification of Council properties in the vicinity of the informal settlement which has been completed and transfer to legitimate beneficiaries, which has been finalised. The City of Tshwane has also dedicated a mobile clinic to the households of the Hermanstad/ Bethlehem Informal Settlement. The mobile clinic visits the households once a month. In terms of social grants the South African Social Security Agent (SASSA) is a regular visitor in the Hermanstad area for various social development related services. In addition, one high mast light and 50 street lights have been installed in the vicinity of the settlement. Government undertook to promote non-racial settlements and the marking of Mandela Day in this manner will pay a befitting tribute to Madiba, the founding President who laid the foundation for nation building and reconciliation. 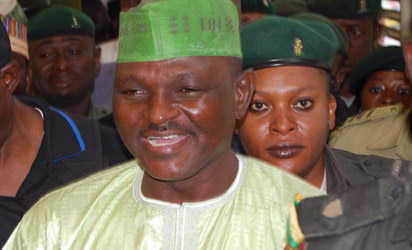 The Lagos Division of the Court of Appeal yesterday overruled the death sentence handed to Major Hamza Al-Mustapha and Alhaji Lateef Shofolahan on January 30, 2012, by Justice Mojisola Dada of the Lagos High Court in Igbosere. According to the presiding judge, Justice Rita Pemu “the lower court stroked to secure a conviction by all means.” The appellate court therefore discharged and acquitted the duo of conspiracy and murder of Alhaja Kudirat Abiola, 45, who was shot in Lagos on June 4, 1996. The three female appellate court justices that discharged and acquitted Al-Mustapha and Shofolahan are Justice Rita Pemu (presiding), Justice Amina Adamu Augie and Justice F. O. Akinbami. Justice Augie was drafted into the panel following the decision of Justice Ibrahim Saulawa who disqualified himself from hearing the appeal. Al-Mustapha, a former Chief Security Officer (CSO) to the late Head of State, General Sani Abacha, and Shofolahan, a former Personal Assistant to late Kudirat, were both convicted by the lower court for the conspiracy and murder preferred against them by Lagos State. The duo separately filed their appeals 24-hours after they were convicted, contending that the death sentence handed them was unwarranted, unreasonable and a manifest miscarriage of justice. Al-Mustapha and Shofolahan also contended that the trial judge erred in law by arriving at the conclusion that they conspired to kill Alhaja Kudirat on June 4, 1996, and faulted the court’s reliance on the testimony of Dr. Ore Falomo on the bullet extracted from the late Kudirat. Counsel to Al-Mustapha, Mr. Joseph Daudu (SAN), adopting his address, urged the court to allow the appeal and set aside the judgment of the lower court. He argued that the trial court erred in law to have based its judgment on the testimonies of PW1 (Sgt Rogers) and PW2 (Katako), which were contradictory. ”The testimonies of PW1 and 2 were inconclusive and contradictory. The court drew inferences from these contradictory statements, to establish the guilty of the appellants. It is my submission that those inferences, upon which the court based its judgment, were merely political evidence formulated by the respondent, and which the trial court ought not to have considered. 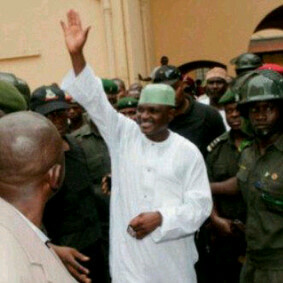 I therefore urge the court to allow this appeal, and quash the judgment of the lower court,” Daudu argued. Counsel to Shofolahan, Mr. Olalekan Ojo, also aligned himself with the submission of Daudu, saying that the prosecution called four witnesses and two of the witnesses were presumed to be star witnesses. In his response, counsel to the respondent, Mr. Lawal Pedro (SAN), urged the court to dismiss the appeal for lack of merit and uphold the judgment of the lower court. He argued that apart from the evidence of PW1 and 2, there were other evidence from the defendants, which supports the counts of conspiracy and murder. Recall that after many years of waiting to know who the court deemed to have masterminded the assassination of late Kudirat, wife of the acclaimed winner of the June 12, 1993 presidential election, late Chief MKO Abiola, Justice Mojisala Dada of Lagos High Court sitting in Igbosere delivered the judgment on a Monday afternoon of January 30, 2012. Clad in a white robe and a prayer cap, Al-Mustapha watched as Justice Dada reads her judgment which lasted several hours. Not left in wonder, Shofolahan, however broke down in tears when it became clear that they have been convicted and sentenced to death by hanging. “In a criminal trial, the burden is to prove beyond reasonable doubt and this is a chain that cannot be broken. The prosecution listed four witnesses- PW 9, 10, 11 and 12 with which it intended to call in the trial, but never called any of them. PW 1 (Dr Ore Falomo) testified before the lower court that the bullet extracted from the forehead of the deceased, was white and of a special kind, but the prosecution failed to tender the bullet as exhibit and this is fatal to their case. The prosecution also called PW 4 (Investigating Police Officer) who investigated the death of the deceased, but this witness was never produced for cross examination by the defence, as he never showed up in court. “This renders the evidence of the police officer inconclusive as it denied the defendants their right to fair hearing, and no reasonable court can safely make a conviction on such an inconclusive testimony. PW 2 (Sgt.Barnabas Jabila Mshelia, a.k.a. Sgt. Rogers) and PW 3( Mohammedd Abdul) in their confessional statements to the Police, said they were enjoined by the first appellant, (Al-Mustapha) to murder Kudirat, but this statement was later retracted by them in court. PW 2 and 3 in retracting their earlier statements to the Police told the court that they were cajoled by the prosecution to indict the appellant, with a promise to give them monetary compensation. This is a contradiction in the testimonies of the witnesses; it raises doubt in the case of the prosecution, and it is unimaginable that the lower court did not expunge this evidence. “For an offence like murder, I wonder why the Nigerian Police did not do a proper investigation. Jabila who was initially arrested as co-defendant, was later called prosecution witness; witnesses who ought to be called were never called, the bullet extracted was never tendered before the court. Once there is doubt in the case of the prosecution, as in the instant case, it must be resolved in favour of the accused, and this doubt is accordingly resolved in favour of the appellants. China’s former railways minister Liu Zhijun was given a suspended death sentence for “especially huge” bribery, becoming the highest-ranking official to be punished for corruption since new leaders vowed to clean up the ruling Communist Party. Once hailed as the “father” of China’s flagship high-speed rail network, Liu, 60, was convicted of bribery and abuse of power by a court in Beijing, the official Xinhua news agency said. State television showed the diminutive, bespectacled defendant standing impassively in the dock in a dark jacket, flanked by two police. Liu was sacked as railways minister in 2011 after eight years in the post, and the scandal surrounding him is reported to have involved as much as 800 million yuan ($130 million). He was convicted of accepting 64.6 million yuan in bribes to help 11 people secure contracts and promotions. The No 2 Intermediate People’s Court held that Liu’s crimes involved an “especially huge amount of money” and “caused colossal losses in the public assets, violating rights and interests of the state and the people”, Xinhua said. “Liu Zhijun was sentenced to the death penalty with two years’ suspension,” a court official told AFP by phone. Suspended death sentences in China are normally commuted to life imprisonment. Under Chinese law capital punishment can be imposed for taking bribes exceeding 100,000 yuan. The court found that Liu’s offences deserved execution, but he was granted leniency because he had confessed, shown repentance and helped investigators recover his assets, Xinhua said. The court ordered all of Liu’s personal property to be confiscated and issued a separate sentence of 10 years in prison for abuse of power, Xinhua said. But a high-speed crash in the eastern city of Wenzhou killed some 40 people in 2011, sparking public criticism that authorities compromised safety in their rush to expand the network. The railways ministry was disbanded in March, with its administrative functions handed to the transport ministry and its commercial role to a new China Railway Corporation. The country’s new leaders under President Xi Jinping have vowed to fight corruption, identifying it as a threat to Communist Party rule. In January Xi was quoted by state media as telling the party’s corruption watchdog there would be “no leniency” for wrongdoing. Users of China’s popular microblog service Sina Weibo were sceptical about his punishment, with some condemning it as too lenient. “Such good news for corrupted officials. This is encouraging them, because the worst result will just be a suspended death penalty,” said one.